In 2017 COLA contracted with the University of Wisconsin-Stevens Point Geographic Information Systems Center (GIS Center) to analyze potential contributions of sedimentation and phosphorus transport from timber management practices to surface waters in the Upper Couderay River Watershed (UCRW). • Who owns the forested parcels in the UCRW and how ownership is related to forest management. • Features and areas that are especially sensitive during timber harvest. • Which and how many sensitivity features are present on each forested parcel in the watershed. • Freely available online mapping tools to help landowners and consulting foresters create timber management plans. • Storymapping tools to share a rich and immersive narrative of LCO and its two-story fishery. In 2016 COLA commissioned the University of Wisconsin - Stevens Point to conduct an erosion study of the Upper Couderay River Watershed. The erosion study was designed to assist Sawyer County in the identification of “priority farms” in the county that may benefit from implementation of erosion control best management practices that would conserve valuable topsoil and prevent soil sediment and phosphorus from entering area lakes. As a result of this cooperative effort, COLA received the “Outstanding Partner Award” from the University of Wisconsin-Stevens Point GIS (geographic information system) Center. The erosion study, now completed, contains the modeling and mapping necessary to help both farmers and lake associations in the 125-square mile Upper Couderay River Watershed—all of which eventually flows into LCO—identify and better manage farm parcels most vulnerable to erosion. 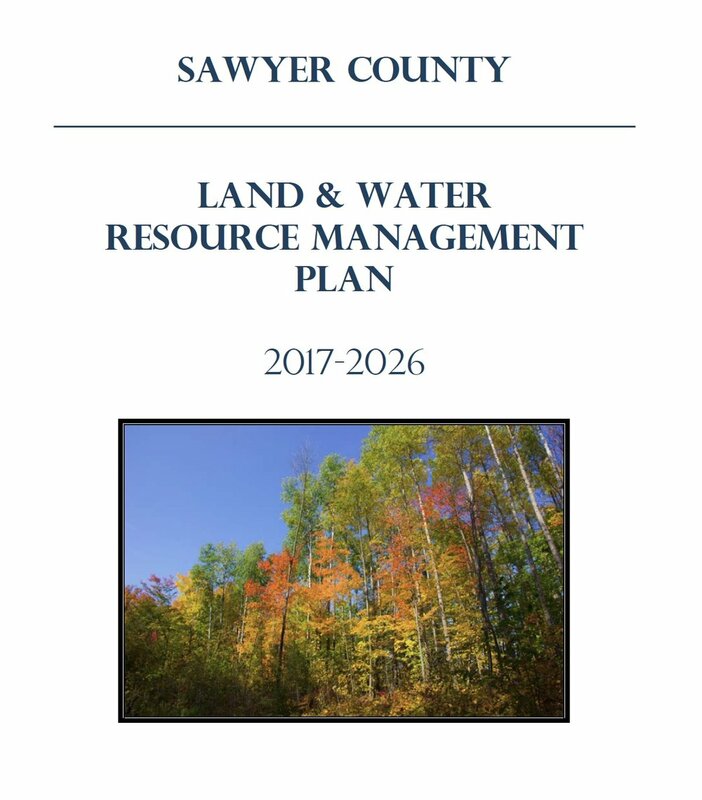 The first Sawyer County Land and Water Resource Management Plan was completed in March 1999 and has been the basis for a revised plan in 2003, 2009 and 2016. The planning work groups consisted of technical staff representing state and federal agencies, as well as individuals representing agriculture, forestry, tribal and local governments. COLA was an essential contributor as noted several times in the current plan (more). The Fourth National Climate Assessment was released recently, and chapter 21 provides a summary of the situation in the Midwest. This report covers the impact of expected climate changes on health, agriculture, forestry, water resources, etc. in Wisconsin and nearby states. It specifically mentions the delicate nature of two-story cold water fisheries such as LCO (see Fig. 21.6).